Lucy, how might you start a typical day? I’m normally here for around 7.30am and my first job will be to log on to our computer system EMIS WEB and deal with all clinical appointments to make sure that we’re ready for our 8am start. We have approximately twelve GPs across our three sites, a mixture of salaried and locum doctors so I have to manage all of those clinics along with all nursing and attached staff clinics. If a member of clinical staff rings in sick I have to account for that, which is why it’s vital that I’m here on time. If that happens then it’s my responsibility to re-arrange appointments and, if necessary, get somebody else in to cover. It’s a lot to fit into that first half an hour! Ringing up patients at that time can’t be easy? It’s not and it may be that some patients can’t come in later that day so we have to re-arrange for another day. It’s not ideal and most patients do understand but when you’re talking about an individual’s health, some people can get quite frustrated and angry. We do have occasions where locums just don’t turn up for a clinic, that has a big impact on patients and patient access and causes us a lot of issues because people will have already arrived at the Practice for their appointments. We just have to deal with that as best we can. I’ll do appointment book audit where I note how many sessions have been worked by GPs and locums, how many home visits have been done daily and whether home visits have been covered by a GP or home visiting services to get the best out of the resources we have. That takes perhaps another half an hour. By this time we’ve got patients coming in and the clinics are up and running so my main responsibility will be to put appointments onto the system which is a continuous process across all three sites and each individual GP list. I like to get as much of this done as early as possible because you never know when a situation might take you away from this duty so it’s always better to be ahead. Around this time I also deal with the Medical Students timetable. At the moment we have three in but we have been known to take more and I have to arrange for an induction, decide which GP they will shadow and when. I will also carry out the induction in which I show them the Quality and Outcome Framework, population reporting and generally how the practice works and the areas Royal Primary Care covers. We have students grade 3A and 3B as well as nurses and we get a new intake every two to three months from universities in Derby and Sheffield. It gives them the chance to experience what it’s like to work in primary care and take that knowledge into their Medical careers. That sounds like it takes up a lot of your time. It can do and it’s not just the students, we also have a large turnover of locums. Every time we get a new one, who may just work one shift here, I have to go through the whole induction process with them. The clinical induction includes the full one we carry out within Royal Primary Care, an induction pack, we may use a different computer system to the one they’re used to so that needs to be covered, I need to explain what each team does, introduce them to the EMIS system and how we use it, booked appointments and medical records etc. That’s a two hour induction for every locum and, in a bad week, that can mean doing it three times! I do have a set time for this which is usually 9am ready for them to start their clinic at 11am. I can fit this around the rest of my duties but you can see why I like to get ahead with the appointment bookings. What about during the afternoon? Much more of the same, as I said running the appointment lists is a constant and continuous process as is producing weekly clinical rotas for all clinical staff across the three sites. 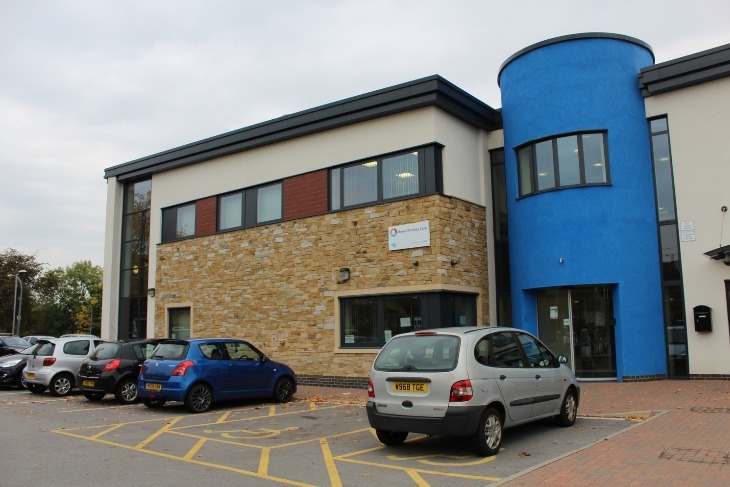 I also deal with staff management issues on a daily basis, there are patient complaints to co-ordinate and deal with and making sure that everything runs smoothly from an administration and reception point of view at Inkersall Surgery. I like to make sure I’m there for any problems that my colleagues might have as well and lend an ear if needed. I also deal with locum invoicing, authorising all clinical staff’s annual leave, monthly appointment book reports and producing weekly Clinical Rotas. So when do you normally finish? I try to end the day at around 4pm but once a week I have to work later, that’s at 6.30pm but I do get to come in later to compensate. It’s a five day week and there’s rarely a time when I can take a few minutes to catch a breath but it certainly makes the day fly by and it’s always busy. With all that to contend with, how to you wind down? What do you do in your spare time? I like to keep myself busy outside of work as well. I do a lot of activities such as swimming, biking, running and walking at weekends. I like to keep Sundays free for a good day out to blow the cobwebs of a week in the office away; I’m just as active away from the office. That’s not to say I don’t enjoy my settee moments in front of the TV! ​One of our porters has reinforced his reputation as the Trust’s ‘Most Active Cyclist’ with a mammoth 170 mile ride to and from Skegness. 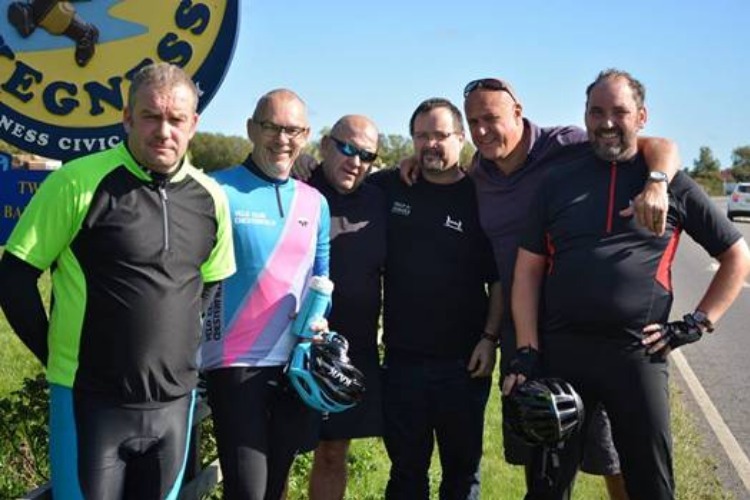 Kevin Revill won the accolade this year as part of his involvement in the Trust’s Global Corporate Challenge and embarked on his latest journey to raise money for Nenna Kind on 27th September with Matthew Boyman, Rob Sellers and Stuart Cullen for company. The quartet set off at 5.50am on a cold, foggy, drizzly morning from Calow, taking the route through Tuxford and Ollerton, arriving in Skegness just before 12.25pm. 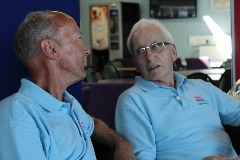 “It was a good time,” added Kevin, “and we wanted to stick to quieter roads by avoiding the A1. We stopped in Skegness for a water break and set off back just before 1pm. It was a very tough slog and unfortunately for Stuart Cullen and Rob we lost them to leg cramp at around the 106 and 140 mile mark but it was still an incredible effort from them both. It was an amazing effort by the four of them who managed to raise £1,200 for Nenna Kind with more to come. Thank you to everyone who supported them and made donations. Four individuals and one team have been shortlisted in five of the nine categories at this year's East Midlands Leadership Recognition Awards. It's an incredible honour to make the shortlist with close to 100 nominations narrowed down to 34 teams and individuals for the ceremony, which will be held at Melton Mowbray on the evening of 3rd December 2015. We will be following this one closely and will announce the winners following the event...best of luck to our colleagues and congratulations on your achievements. Staff Forum - One True Voice! 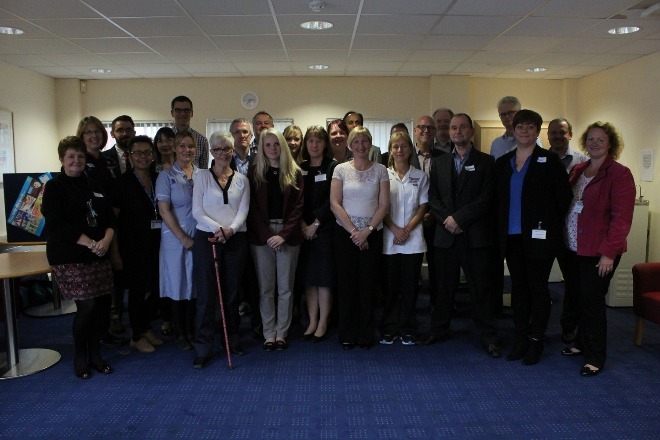 The new staff forum representatives met for the first time at a launch event that included members of the Hospital Leadership Team (HLT) and Joint Consultative Committee (JCC). 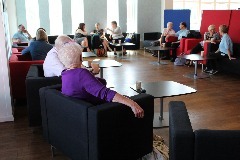 The forum will meet with the HLT and JCC on a regular basis to give representatives, acting as a link between their colleagues and decision makers, the chance to find out more about what is going on in the Trust and feeding this back to their colleagues. It works both ways with staff reps giving the HLT a better understanding of staff morale, any particular issues that are concerns and why. Chief executive Gavin Boyle was there, he opened proceedings by saying to them: “It’s a real challenge to find the right balance between managing the finances whilst improving quality care for patients and we need to engage with the entire trust to tap into the fantastic ideas that are out there from your colleagues. 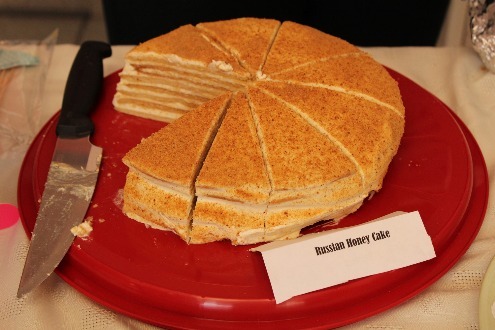 ing on in the Trust and feeding this back to their colleagues. 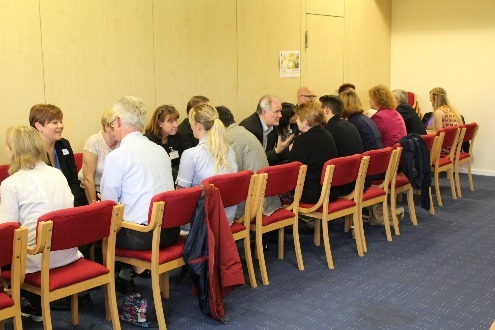 The launch session included a ‘speed dating’ section (see image below, right) where the forum members sat opposite each other for one minute and encouraged to relay one interesting fact to each other. After that the group was split into four and asked to discuss what they wanted to get out of the forum and what they hoped to achieve. ​The general consensus was to improve communications between higher management and the shop floor, discuss, clarify and where necessary negate rumours which can cause issues with morale and create barriers and help to ensure that the concerns and questions of our colleagues reach the right people. For more photos see our gallery by clicking here, the first staff forum will take place on November 6th. Our Chair - Six months on the clock! ​Time flies when you’re having fun and our new Chair, Helen Phillips, is already approaching six months in post. It’s been a whirlwind start with the launch of our partnership with Macmillan in the building of the new cancer centre, an assessment by the CQC, our new role as caretaker managers of the Royal Primary Care Group and our increasing involvement in the 21st Century Care project. 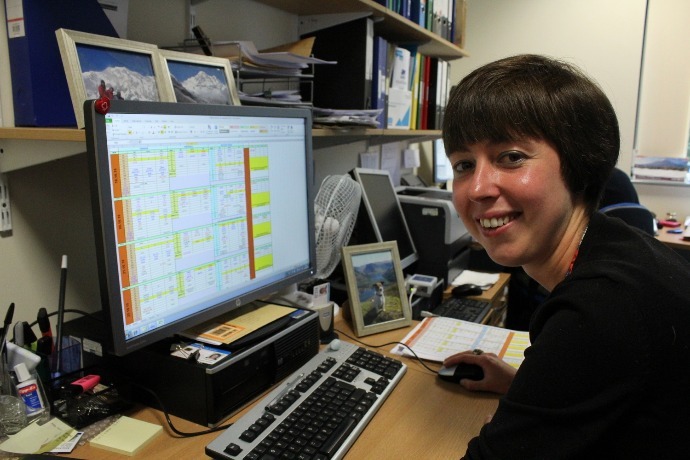 Lots of change and, with Helen being new to the health sector it must feel like a lot of information to take in. 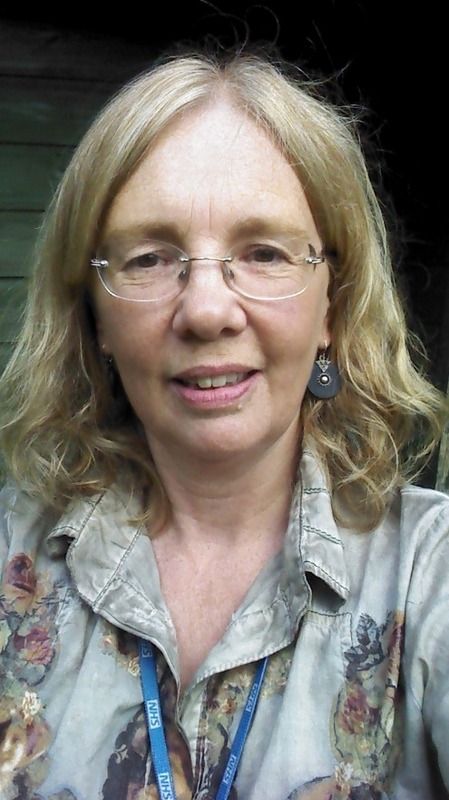 Helen said: “I knew I would be on a steep learning curve, so I'd like to start by saying a big thank you to the many people I've met during my first months for being so open, welcoming, and helpful to me. Whilst I know there's still a lot more to learn, what I have managed to do in my first six months is form a good sense of what is working well and what more needs to be done to build on our successes to date. I’ve been out and about and met many partner organisations, including the Chairs of South Yorkshire Working Together Partnership, 21st Century Care, neighbouring CCGs, other provider Chairs at NHS national events and the CQC assessors at Ringwood Hall. This has all helped me develop a better insight into not only how the NHS works, how it is structured and where it is heading, but also in the value and strength of the relationships with our partners. ​here across a 24 hour period, especially the different challenges and pressures that are presented. It’s also important to me that I get to hear what people really think and pick up on the issues that concern colleagues at all levels throughout the organisation. I’ve found this Trust to be truly wonderful and the people kind, helpful and resilient despite the fact that at times I know they feel stretched. One of the questions I always ask people is how they would decide if I was a good Chair. The most frequent answer I get is “If we see you” and I’ve therefore been grateful that colleagues have made it easy for me to do that and welcomed me on my visits. 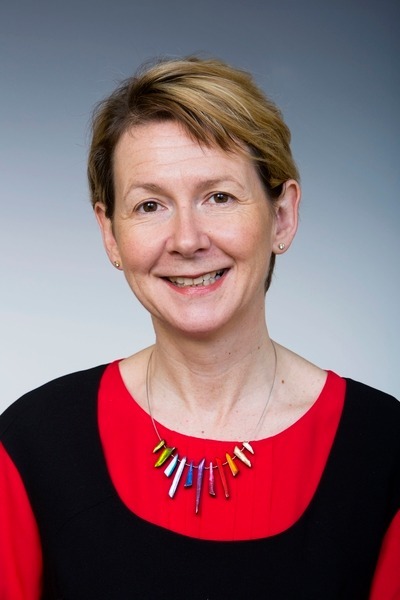 ​Helen has already indicated her priorities are to highlight relationships with the board, governors and the distinctive roles of the Exec and Non-Exec teams. There was also an indication that partnership working was key in taking this forward and, having met with several Working Together Partnerships in South Yorkshire and Harrogate and Airedale, as well as Chairs of neighbouring CCGs, those bridges have been built and strengthened. “I think it’s important to be able to ask for help wherever you feel that it is needed,” added Helen, “and having strong relationships with other FT Chairs is also a great way of sharing good practice and ideas. These are exciting times and my vision is influenced greatly by Simon Stevens’ ‘5 Year Forward View’ for the NHS. He says that for the NHS to be preserved, we need to find different ways of delivering the same service. It’s a comfort to know that our Board has already embraced that viewpoint and ​​my job as Chair of Governors, along with the rest of the Council, is to hold the Board to account. ​​“Simon talks about Multispecialty Care Providers (MCPs) and moving care out of hospitals. Our partners over at Derbyshire Community Health Service have been working very hard to achieve that. There is also the Primary and Acute Care Systems (PACS) permitting hospitals to open their own GP surgeries where GPs are proving hard to recruit. With our own Royal Primary Care group we intend that by primary and secondary care joining forces it will benefit patients in terms of seamless, joined up care. “He also talks about placing importance on cancer services, urgent care, 7 day service and the promotion of healthy lifestyles, all of which I can see the Royal has begun to plan for, so I do believe we’re heading in the right direction. Delivering on that is the challenge I’m excited about. “All that said, the challenge is a huge one as we all know there is much to do. And the challenge can seem all the more daunting in the context of the findings of our staff satisfaction survey. I have picked up on many of those concerns whilst being out and about. I strongly believe that in times like this visible leadership is vital, and I intend to lead by example, listening, and encouraging colleagues at all levels to speak up and speak out. It’s not an easy thing to do to change established beliefs and opinions but morale and wellbeing is strongly linked to the Friends and Family Test in the sense that a happy workforce results in better care for our patients so it’s an issue we must tackle. “I do think that our people are this Trust’s strongest asset and the manner in which I have been welcomed on to the wards and outpatient suites has really impressed me. There has been no ceremony, I’ve been treated as any other visitor and that gives me a good insight into how other visitors are greeted and treated. We also seem to be performing strongly on key indicators such as care, compassion and humanity and I’ve seen that in action which is hugely encouraging when considering the task ahead. ​The Trust will be saying goodbye to one of its longest serving nurses when Annette Kennedy retires from Pre-Assessment on 31st July. Annette joined the Royal as a cadet nurse on 4th September 1972 before enrolling for staff nurse training in March 1974, completing her training in 1976. There were no nurse jobs available at the time so she joined the maternity team at Scarsdale where she worked for two years before joining Devonshire Ward in 1978. ​That happened in 1997 as a Staff Nurse, at which point the Pre-Assessment team was basically just two people. “It was me and Sister Maggie Briggs,” recalls Annette, “we did all of the assessing for surgical units between us. Of course there wasn’t the amount of work that we get now but I learnt a lot from Maggie and I’ve met some incredible people during my time here. “I had a real soft spot for Mr Whiteman, one of our consultants and it was incredibly sad day when he passed away and I’ve thoroughly enjoyed working with Mr James and Mr Boucher to name just two and I’m sure there will be a few tears when I leave but I’ve got a lot to look forward to. Everybody at the Royal wishes you a very happy retirement and don’t forget to send your Pre-Assessment friends a postcard! 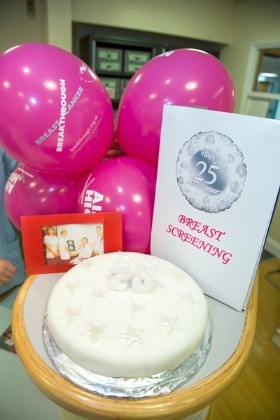 Our Breast Screening Unit, responsible for saving hundreds of lives, has just celebrated its 25th anniversary. 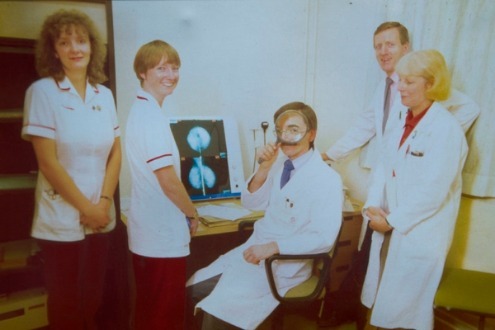 The unit was opened officially on 16th July 1990 after the Forest Report led to the introduction of the National Breast Screening Programme, aiming to reduce breast cancer mortality rates in the UK by 25 per cent. Since then the unit has performed around 250,000 screening examinations, detected hundreds of cancers and, unlike it's 1990 former self, is now fully digital. The unit has come a long way since its inception when they had just three and a half whole time equivalent radiographers and one breast care nurse (see original photo directly below)...you can see from the pic to the left that this has increased! 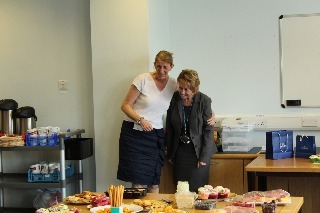 The photo to the right, taken when the unit opened, features (left to right) Andrea Booth who can also be seen above (centre, holding the cake! ), Patricia Scott, Dr Jeff Glaves, Steve Holt (also still here) and Meg Oakes. The team provide an incredible service and I think everyone touched by this service (and I'm sure that runs into the thousands) will wish them all a very happy birthday and here's to many more years to come. 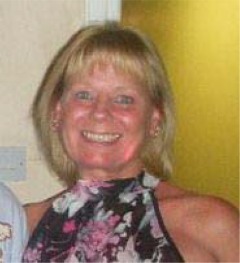 Lesley Makin - Thank you for 40 years service! 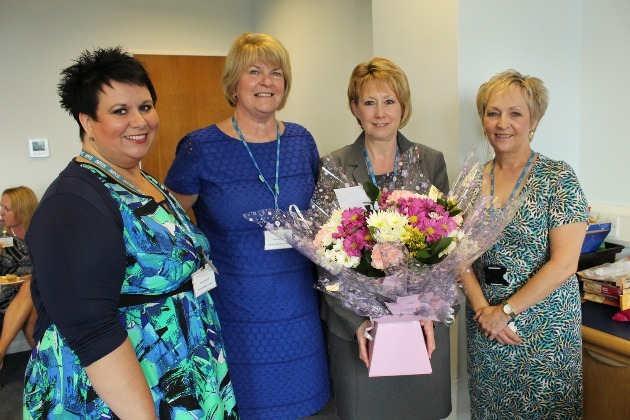 The Trust said goodbye and good luck to Lesley Makin who has been our Head of Patient Safety since December 2006. 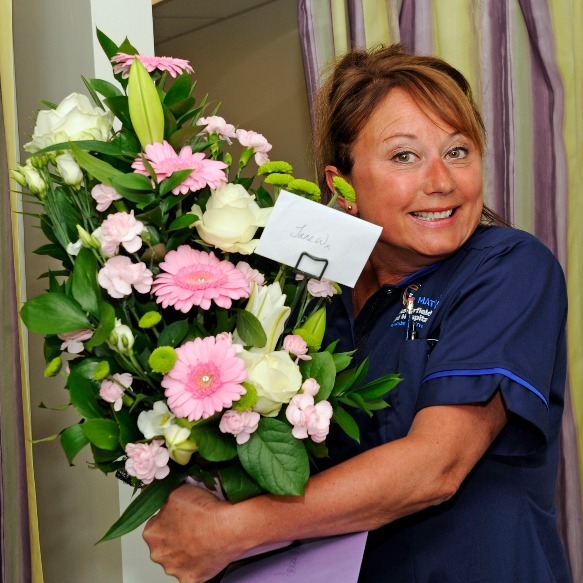 Les (pictured right holding a bouquet of Flowers) first came to the Trust as a cadet nurse in 1975 before starting as a student nurse at North Derbyshire School of Nursing from 1977 to 1980. She then came back to the Royal as a Staff Nurse in our Intensive Therapy Unit before a brief sojourn at Royal Surrey County Hospital between October 1983 and April 1984. It was then that Les returned to ITU as a Sister, promoted to Senior Sister almost ten years later and then promoted again in 1994 to Clinical Nurse Specialist. It was in 1997 when Les moved to work in patient safety, first as deputy head and then as Head of Patient Safety from 2006. It's a role that Les has fulfilled impeccably, including acting as the Trust's lead for coroner's inquests, and her colleagues pulled out all the stops to provide her with a fantastic and heart-warming send off which included some home-made food and cakes, a lovely bunch of flowers and some very emotional speeches. Our loss is most definitely Ashgate Hospice's gain where she takes up a new challenge and we will no doubt see her on the corridors of the Royal again working for one of our closest partners. 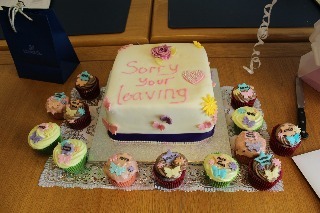 Everybody at the Royal wishes you well in your new role and thank you for the last 40 years! How would you describe your typical day? Very busy! 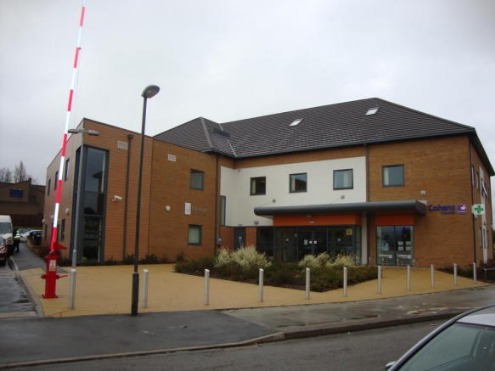 I’m normally here at the Grange Family Health Centre for 8am and I’ll start by checking the paperwork and results that have come back from the Chesterfield Royal Hospital as well as letters scanned from the night before. From that I’ll get an idea of what needs to be actioned for patients and I’ll be doing paperwork throughout the day. From 8.30am I begin my clinic by seeing patients for ten minute appointments until around 11.30am when I might get a few minutes to grab a cup of tea. 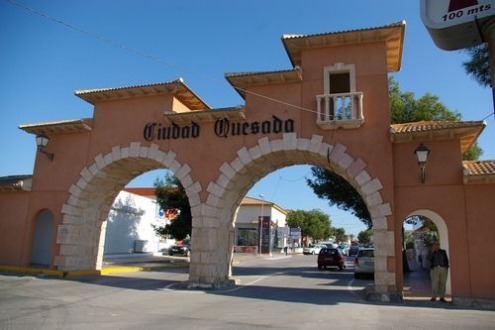 The morning clinic will generate more paperwork, some of which I will deal with that day if they’re urgent cases and then I’ll think about visiting patients. We have a triage system to find out when they’re in, if we can get access, see if a visit from a district nurse might be more appropriate and then it’s back to clinic in the afternoon for another fifteen to twenty patients. We might also have a student sitting in who can talk to a patient before their appointment and also give them a tutorial at lunchtime for an hour. I’d say my day is typically 12 hours with paperwork taking a good three or four hours in addition to the two clinic sessions, work with students and visits. It’s a long day and it is all work. ​Most people won’t see that, they’ll just see what you do during the consultation. That’s right; it’s a quick visit that may only take five minutes but each one generates paperwork, further investigation and possibly referral so it’s much more than the personal consultation. ts that have come back from the Chesterfield Royal Hospital as well as letters scanned from the night before. From that I’ll get an idea of what needs to be actioned for patients and I’ll be doing paperwork throughout the day. 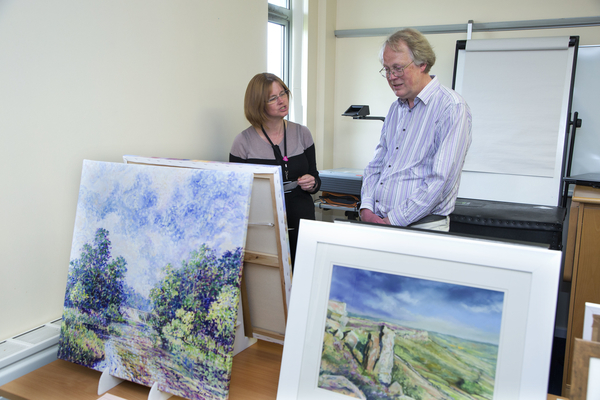 ​What’s your take on the partnership with the Chesterfield Royal Hospital? We struggle to attract GPs; it’s not just a local problem, it’s a national shortage and we’ve worked very hard to recruit. We’ve looked at nurse practitioners, therapists, physiotherapists, pharmacists and mental health workers who can all offer an alternative to a GP assessment. The way we work is very similar to before the partnership, we still do the co-ordination so in a sense we’re like the conductors of the orchestra. We needed something different to attract the best GPs here and I think involving the Chesterfield Royal Hospital is a powerful collaboration that provides a great new way of delivering primary care. The real plus is that some GPs like being a GP but have other skills and partnering with the Royal offers the chance to also work in an Emergency Department, Rheumatology, Cardiology and other fields. There is the potential to do both and the advantage is that we would have a skilled person in a primary care setting. It’s a good idea to have a varied skills mix to share and learn about how primary and secondary can work together. d also give them a tutorial at lunchtime for an hour. ​How do you think the move will benefit patients? 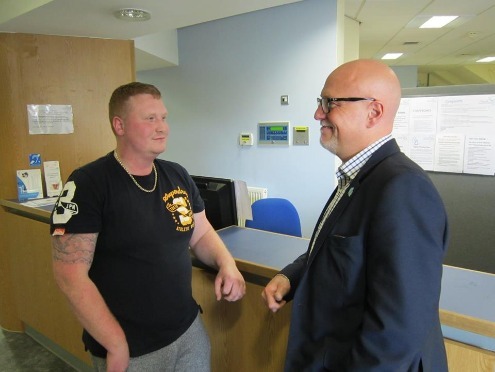 There are lots of ideas coming from the Royal (Chief Executive Gavin Boyle, pictured right with a GP patient) in terms of appointments and how we can work together and it stands to reason that this will benefit patients. For example services from secondary care can be integrated within the Grange which will mean greater access at a local level and convenience for the patient, more choice. I hope that the range of services we can offer will increase along with the skills mix to match that range. Have you had feedback from staff yet? What was the main reason behind the move? Primarily the recruitment of GPs. We were using a lot of locums and temporary staff to be able to keep our service running but the cost of doing this was proving to be unsustainable. Also, as I mentioned before a good chunk of a GPs day is taken up by doing paperwork which isn’t always something a locum is prepared or able to do so that was adding more pressure. All GP practices are competing for the same personnel so we needed to show that we can offer something different. Have you seen any changes so far? The campaign to recruit is underway; we have seen progress and applications have been received. Things won’t happen overnight and there will be a time lag, for example notice needs to be served and worked, checks need to be made so we won’t see immediate appointments. We are expecting to see results in the Autumn. The contract with the Royal is initially for a year, what happens after that? The NHS rules require a full consultation process to be undertaken followed by tendering. Other potential providers or primary care services must be given the opportunity to offer to run the service. We very much hope that the Royal will be one of those. ​So how would you sum up your thoughts at this stage? Although the Holywell House building has closed the services contained still remain but have moved to The Grange. It is important for people to know that they still have access to GPs in the same way, just in a different building. We have seen continuity in all staff from doctors to administration so all of our faces should still be familiar to our patients. Once the recruitment campaign starts to result in full time GPs being appointed we should see the benefits of this move and I’m sure that once this happens, we will have a service to be proud of and one where people will be happy to come and work and be treated. 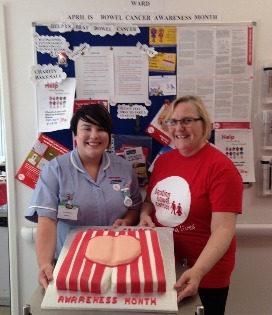 Sister Sarah Bainbridge and Staff Nurse Katy Robinson have been busy raising a magnificent £647 for 'Beating Bowel Cancer' by holding a number of events. 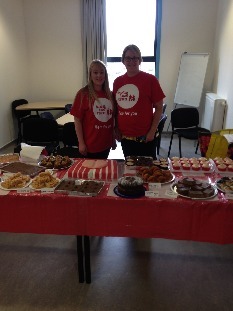 They held a number of Easter related raffles, games and activities to mark Beating Bowel Cancer month on April which culminated in a bake sale on 28th April. Sarah (picture left in photo), said: We work on a colorectal ward so it's a subject very close to the hearts of everyone who works here because we deal with it every day. We see the way it changes people's lives and we witness so much bravery from the patients on here that it's important to us to raise money for this charity." 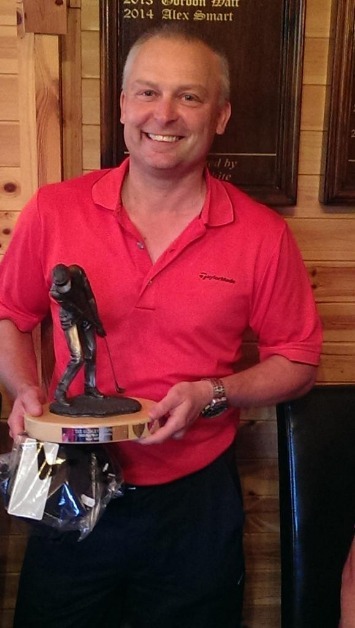 Forget The Masters, the CRH Golf Society event was the major talking point within the Royal's Golfing community where Mark Griffiths (pictured right) emerged victorious. Mark, who works in Estates, won by a clear 9 points with competition coming from a wide range of departments (not to mention abilities! ), a retired employee and a few guests making up a complement of 32 players. Special thanks to Paul Bownes from Pathology for organising the day along with Peter Sargerson in Clinical Engineering. New members are always welcome, contact Paul or Peter for further details and see if you can wrestle the trophy from Mark next year! The Trust has paid tribute to our incredible volunteers who give up their precious time to help our staff deliver quality care to our inpatients and outpatients. 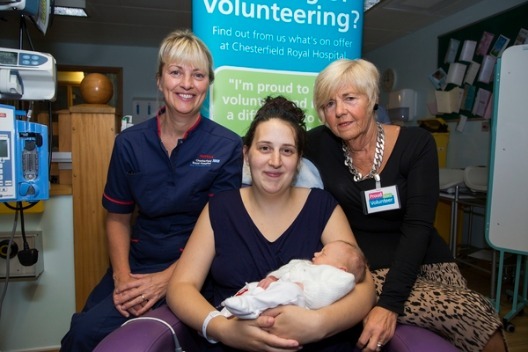 We now have a bank of around 80 volunteers after the service was brought back in October last year with our first new volunteer, Carol Wigfield, who works on the Neonatal ward. 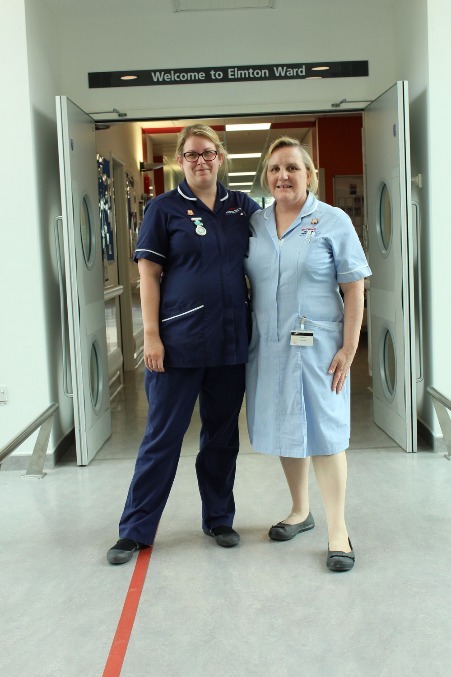 Carol (pictured left with Neonatal Matron Lynn Elliott) said: "I worked here for 36 years, mainly in Theatres before retiring and moving to Spain. I thought volunteering would just be patient feeding and talking to patients but a typical day might involve cleaning incubators and baskets for the cots, putting together admissions packs for new admissions, pharmacy runs, going to salaries and running errands. ​"I would recommend volunteering to anybody who has time on their hands and wants to make a difference to a lot of people." One of the more recent additions has been the return of the shop trolley service which has been requested by patients and staff alike. New volunteer Lynn Fowler has been instrumental in bringing this valued service back after spending time in Perth, Australia, where she ran exactly the service. ​​Lynn said: "I visited the hospital one day and called into the Assistance and Complaints Service to ask about a similar service here. They said there wasn't one but pointed me in the direction of the volunteer service and we set it up. I come in on Monday and Friday between 9am and mid-day and we've had lots of positive feedback from staff and patients. We're hoping to get more volunteers in so that the service can be extended throughout the week and possibly an afternoon run." 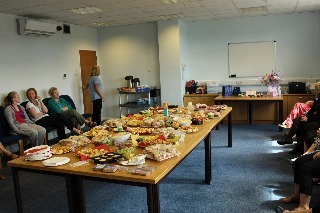 The Trust laid on a special breakfast for our volunteers to recognise the contribution they bring to the running of the hospital and to thank them for everything they do to help our patients recover. Massive congratulations to Jane Walker who has been given the new role of Senior Matron for Ophthalmology, based at the Chesterfield Eye Centre. Her team are clearly delighted with the appointment, clubbing together to buy her this impressive arrangement of flowers. Jane was one of the driving forces behind getting the Chesterfield Eye Centre, a £2million development that opened in June 2012, off the ground and turning it into reality. We're sure you'll join Life@theRoyal and Jane's team in congratulation Jane for her achivements. One of our speech and language specialists has raised £210.43 for a cause in Malawi very close to her heart. Liz Rowe is aiming to raise £2,000 in total that will go towards a building project to help construct a house for vulnerable people. She will be travelling to Malawi in July at her own expense and in her own time to help with the building project and find out more about what is going on over there. 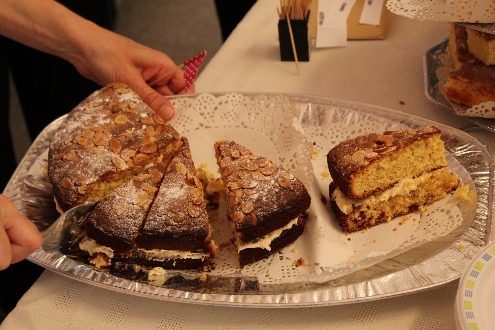 The cake bake, held over a lunchtime at the information point of the main entrance, was an enormous success. 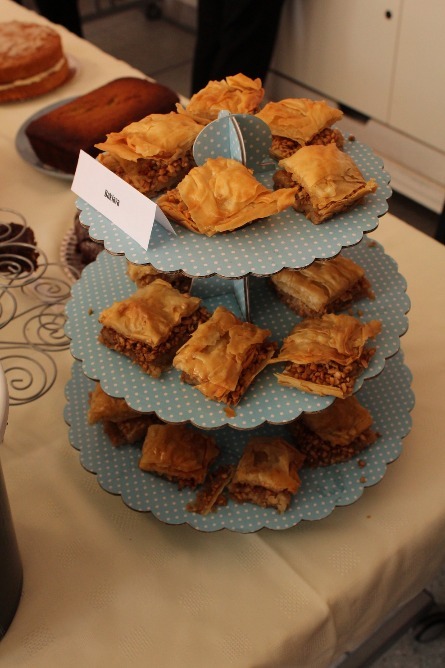 They were booked in there for two hours but had completely sold out within 40 minutes and, as you can see from these delicious pictures, it is little surprise that the cakes were gobbled up so fast! Liz has a number of other fundraising activities planned before she sets off and has already raised a significant amount by running the Sheffield Half Marathon. Her chosen charity is Habitat for Humanity and Liz sets off for Malawi in July - we'll catch up with her and find out how she got on when she returns in the middle of August. 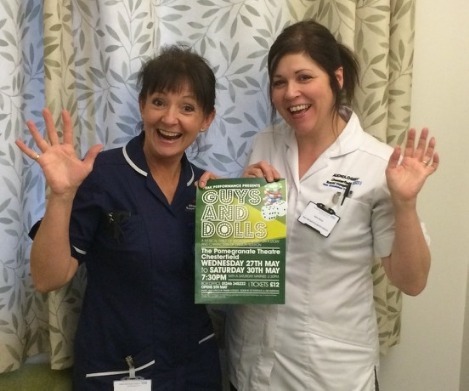 Dementia patients encouraged to twiddle on Pearson! The gloves are being trialed at the moment and the early signs are that they are working as a useful distraction. If you would like to know then you can talk to Pearson ward matron Stacey Burton. This is the latest in a long line of efforts to introduce calming, relaxing and distracting memory aids and devices to improve the environment for dementia patients. 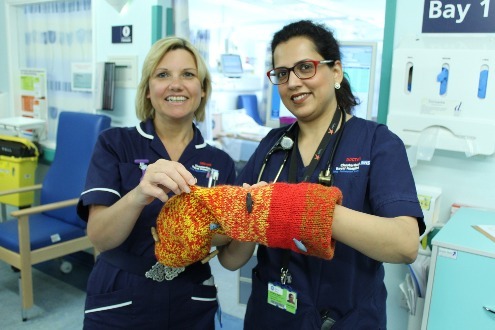 The nurses on Pearson ward have pioneered what they call a 'Twiddle Glove' to help protect patients suffering from dementia. 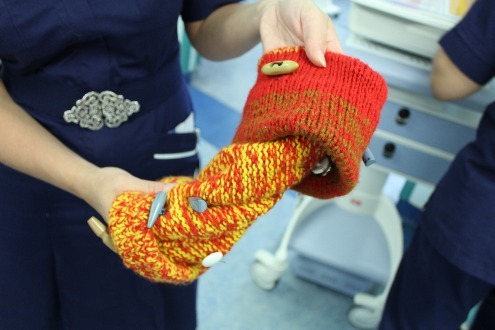 There have been a number of occasions where patients with dementia have interfered with some of the tubes and lines being used to treat them and staff nurse Lesley Rudrum found these gloves on the Internet. It's more like a double ended sock and there are buttons and duffles on the outside and inside. The patient would be encouraged, if they are beginning to interfere with their treatment, to put their hands into the glove where they can 'fiddle' with the sewn on appendages without causing potential harm to their own treatment. A different kind of theatre! Three of our health professionals from Audiology and Maternity raised the roof as leads in a Peak Performance production of ‘Guys and Dolls’. 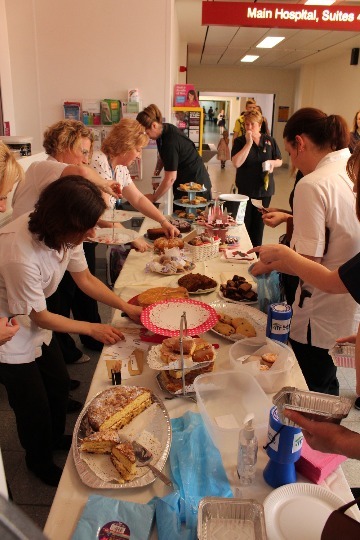 Birth Centre Co-Ordinator Joan Hopkinson and Audiologist Debi Alvey stepped out at the Pomegranate Theatre to raise money for The Alzheimer’s Society. 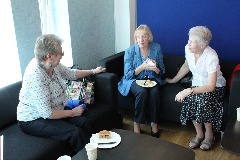 They were joined by Diana Leivers who is a Healthcare Assistant on Elmton ward. Peak Performance was formed around 20 years ago and operates by putting on a number of concerts and events, raising money to stage one main event, the proceeds of which go towards a chosen charity. Last year saw them tackle ‘South Pacific’, Joan said: “I used to do a lot of amateur dramatics when I was a child, including being in ‘The Sound of Music’ with the Chesterfield Operatics when I was 8 years old, but I chose nursing as a profession. I caught the bug again when my husband bought me singing lessons for my 40th birthday and I was put in touch with Peak Performance. Debi has a similar story, also receiving singing lessons, but has only been performing for four years, she said: “I played Sarah Brown, a very different character to Adelaide and also one of the lead characters. She’s in the Salvation Army so is very straight laced and I got to sing a few songs, including one with Joan’s character and a solo called ‘If I Were a Bell’. There are 40 members in the adult pack, there’s also a youth pack of 50 youngsters. The group carry on fundraising throughout the year to raise the £20,000 needed to put on the main show, the proceeds from last year going to Ashgate Hospice, this year the beneficiaries will be The Alzheimer’s Society. National recognition for Royal security hero! A member of the Chesterfield Royal Hospital’s security team has been honoured at a major national award. 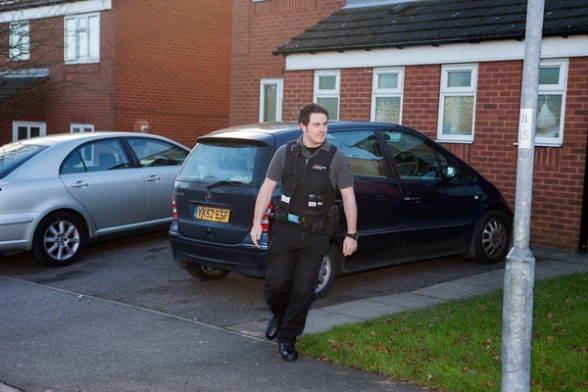 Security Officer, Chris Fielding, employed by Securitas who provide the Royal’s security services, won the 'Outstanding Act' award at the regional British Security Industry Association (BSIA) Security Personnel Awards 2015. Chris has worked as a Security Supervisor at the Trust for four years and received the award to recognise his initiative and professionalism throughout a potentially dangerous and challenging incident. Chris said: “I was on duty with a colleague of mine and we were called to one of the wards to respond to reports of a man acting aggressively. Just after we arrived he managed to escape restraints, running away and attempted to take his own life. “I tried to reason with him as we’re trained to do, calm him down but he kept switching between pleading with us for help and aggression, threatening our lives and we had to step in physically for the safety of everyone. Ged Holland, Trust Security Advisor, said: "I have worked with Chris for the past four years and find his commitment to patient and staff safety goes above and beyond expectations. This is just one of many incidents where his actions have prevented harm to both patients and staff. "I have always found Chris to show compassion towards patients and always have a positive, friendly and helpful attitude. To Sum Chris up, I would say you can always count on him in a crisis situation to make the right decision in the interest of patient and staff safety. In my opinion Chris is a credit to the hospital security team, Securitas, and the security industry as a whole." 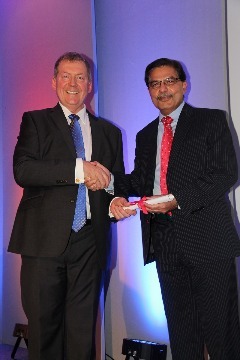 Chris received his award at a ceremony held at Rudding Park, Harrogate on Thursday 16 April 2015. 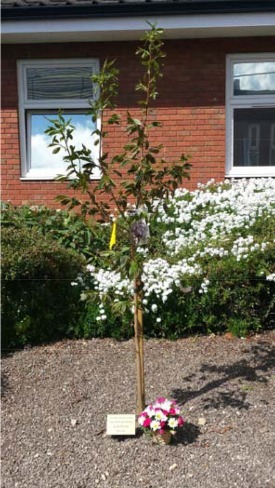 To coincide with International Workers Memorial Day on 28 April, pharmacy staff along with friends and relatives of Lynn Kelsey gathered in the garden quadrangle next to the pharmacy corridor to plant a cherry blossom tree in memory of Lynn. Lynn worked as a Pharmacy Technician from May 2009 until she sadly lost her battle with cancer on Christmas Day 2014. The tree is a Prunus ‘Chocolate Ice’ and was kindly donated by Dobbies Garden Centre, Chesterfield. 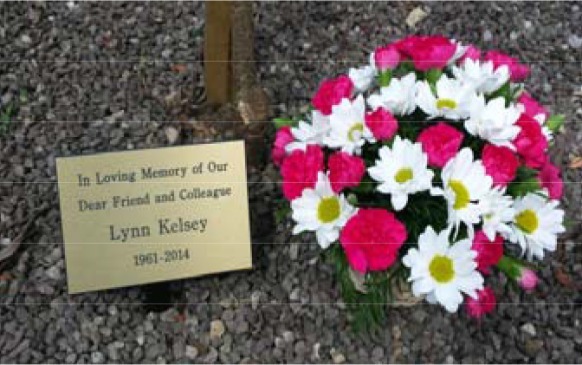 The plaque, which reads “In Loving Memory of Our Dear Friend and Colleague Lynn Kelsey 1961-2014” was kindly donated by the parents of one of our pharmacists, Beth Dias. Paul Jones, Principal Technician, began the ceremony with some warm and caring memories of Lynn and her husband Paul then began the planting. 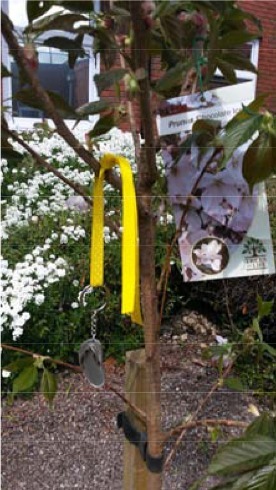 A yellow ribbon bearing a ‘flip-flop’ key ring was tied to a branch by technician team leader Sara Shaw signifying Lynn’s love of the sun and travel. 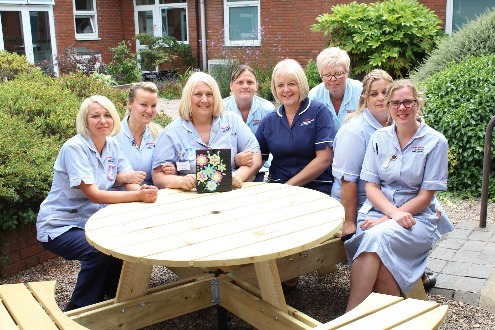 Money which has been raised by pharmacy staff for a memorial will be used to replace the bench next to the tree, and future donations and fund raising will be donated in Lynn’s memory to the Chesterfield Royal Macmillan Cancer Centre fund. This year saw more great examples of the hidden talent on show at the 5th annual photographic and art exhibition. There were a number of different themes including nature, different cultures, the Royal’s own Easter Egg Decorating competition, underwater photography and much more. Dr Pervaiz Iqbal organised the event once again, he said: “The standard of this year’s submissions were just as good as previous years and it amazes me that we have so many visionaries working here with a real eye for artistic detail. Again we had a mixture of work from people who had submitted before alongside some new additions. “Lots of people gave up their time to come and take a look and it was great to see people able to talk about their passion for photography and explain how they got their shots and what inspired them to take a particular photograph. Pervaiz a jolly good fellow! 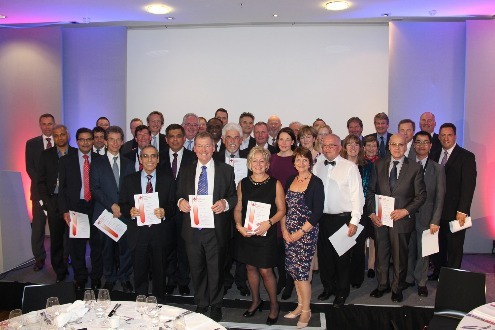 Consultant Pervaiz Iqbal has been presented with his Fellowship of British Hypertension Society. He was presented with the honour by Professor Thomas Macdonald at a ceremony held towards the end of 2014. The fellowship was conferred to Pervaiz in recognition of the role he’s played here in setting up Hypertension services, providing good quality care and contributing to audit and research with a range of publications from Hypertension clinic.